It's been a very busy month for our co-founder, Kate Dargan. This month, our board chair and chief strategy officer, Kate Dargan, traveled all the way to San Antonio, Texas to the GEOINT Symposium to meet up with the Nominating Committee for the USGIF (US Geospatial Intelligence Foundation) Board of Directors. GEOINT is the country's largest gathering of intelligence providers, satellite and sensor companies, data analytics, and software providers annually. Everyone here, including Intterra, is focused on geospatial applications. During this visit, Kate attended a presentation that featured several female speakers who focused on showing and engaging young people and girls in the cool side of Geospatial sciences and services. That's not all she took part in, though. 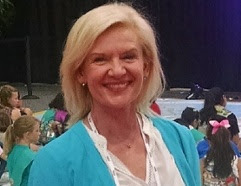 Kate was also selected to serve on the USGIF Board and is looking forward to representing the public safety perspective at the Foundation as it seeks new ways to improve and advance education, use, practices, and products that link remote sensing, geospatial intelligences, emergency safety responders, and the public. Over the next year, she will be reaching out to several national public safety groups to gain their perspectives and inputs on how they'd like to shape this emerging technology to work for them. Lastly, Kate attended the very first Fire Service Drone Symposium held at the Stanford Linear Accelerator Lab at the beginning of this month. 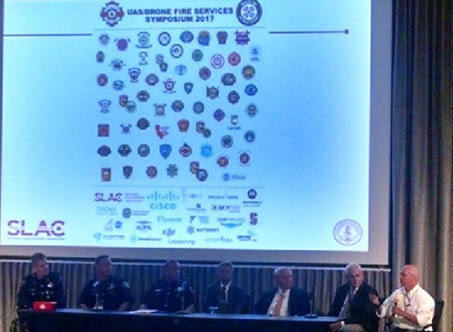 The Menlo Park Fire Protection District, located in Silicon Valley, CA, hosted the event which brought together over 50 fire departments, researchers, tech innovators, and the Federal Communications Commission. A recent article on drones for public safety showed that only 347 public safety agencies across the countries use drones, and only a fraction are used in the west. The Menlo Park Fire Protection District is well known for it's technology sector and has spent the last few years developing a FAA-approves UAS/Drone Program, making for an excellent and knowledgeable host. The symposium was designed as a strategic planning and leadership workshop that helped support public safety use of drones and unmanned aerial vehicles. Kate will continue to travel to these events and be involved in the technology sector, the geospatial sciences sector, and the public. She is doing excellent work, and we are so proud that she is part of the Intterra team. If you want to learn more about Kate, check out her bio! Ace fans will know me.